How do you honor a second chance? 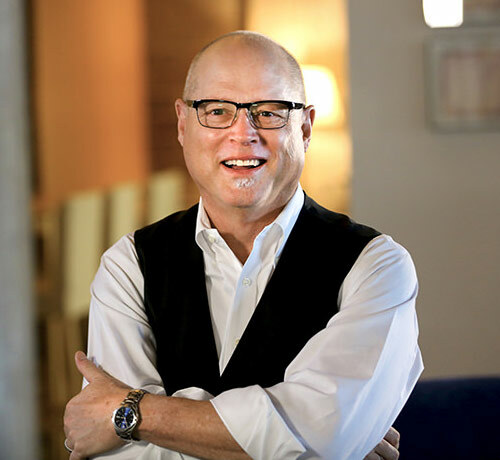 The latest book by Real World Business Coach, Danny Creed details the events that happened, beginning in September 2015, that would forever change his life. A triple by-pass heart surgery, with a near-death experience and the devastating death of his mother all in a 24-hour period set in play a chain reaction of experiences that would, in the end, create positive and powerful results. 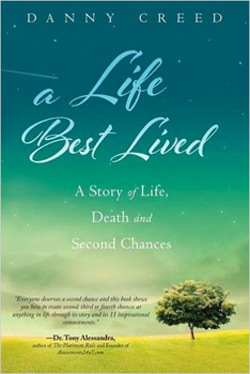 A LIFE BEST LIVED is within the reach of everyone and Danny Creeds story while both unnerving and sad is equal parts filled with hope and purpose and a blueprint for any reader to plan their own, LIFE BEST LIVED. Second chance self-reflection at its best! "I asked myself these questions while reading Creed's work: "If I had a second chance, how would I be? How would I act? What would I do differently than before?" Chapter 14 and Chapter 39 are my favorite parts of this book. They create a contrast and highlight God through powerful messages filled with the spirit of second chances. Creed's story was not only chilling and emotional for me, but it was a great book for self-reflection and for living a better life now--a life as if there may not be a second chance for any of us." A great book of inspiration! "Great inspiration and fabulous tips for creating a better life! Thank you to Danny Creed for sharing his inspiring journey!" "Danny's story rings true for me because I too had a NDE...he inspires with his truth and you can see it shine through...the demons in his head and his prayers answered...I get it.. and Mom's visits...again...read it...you will not regret and you will carry his words around with you." "Danny Creed's Book: "A Life Best Lived" is a story of inspiration and courage that reminds us we can choose to be victims of the hardships we face in life, our learn to rise above them! Since we have all faced difficult life circumstances - this book is a source of hope and redemption for everyone!" Great gift, fantastic advice for living a better life! "An awesome, life-changing and well-written book. This is a great and encouraging read for anyone who is struggling or wants to improve their life. Awesome for entrepreneurs! The book is so terrific that I read through it quickly the first time and now I'm re-reading it and taking notes! I highly recommend this author and book." "True stories are heart tugging and Danny's attitude and approach to life is what brings hope and purpose - not only to him, but to each reader, because we can all choose to do this. Thank you, this book is a must read!" This interactive workshop is truly a powerful experience. It is educational; motivational; inspirational and spiritual! You’ll be challenged to make some decisions that you may have delayed or ignored for a lifetime. You’ll come away with a renewed spirit; more focus; a positive attitude and the tools for you to build your own personal plan for your LIFE BEST LIVED.